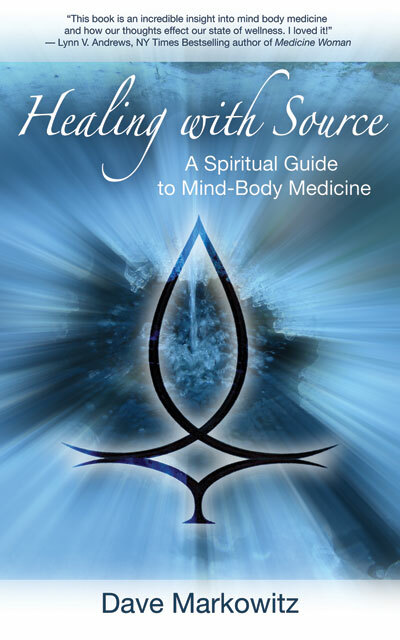 Healing with Source: A Spiritual Guide to Mind-Body Medicine describes one of the most time- and cost-efficient self-healing modalities available. Whereas most healing modalities focus on the symptoms, Healing with Source focuses on reversing the causative factors. In fact, if you focus on the symptom, the Law of Attraction would say you'll only get more of the symptom. At best, typical modalities can only provide temporary pain management. While that's not a bad thing in and of itself, true, permanent healing only happens when you reverse the causative factors. And that's what Healing with Source: A Spiritual Guide to Mind-Body Medicine helps you do. Healing with Source also includes a channeled symbol that can be used to transmit a very high healing frequency, that of the Source. A cut-out and detailed instructions are given to allow maximum effectiveness. There is also a link to an MP3 that includes subliminal summaries of the main concepts gently placed under a bed of soothing, ambient music. Yes, the new age of books is here, combining more of the senses for a more visceral and deeper transformative experience! Written by Dave Markowitz, a medical intuitive, channel of Source energy and information, and one of the premier voices of our time in the fields of energy medicine and spirituality, this conversational-style book gently invites you into a paradigm-shifting understanding of health, prevention, and healing. Dave. It didn't look good. On the cover, is that water? Ice? A tree? I'm guessing it's supposed to be Source. And the mystical symbol there, looks like a surfer's tattoo, not something I recognise. Then I read that you're a "medical intuitive, channel of Source energy and information". I wasn't feeling a connection, Dave, but I hadn't started reading yet. Still, your beguiling smile and the fact that I like your specs made (me) want to. That, and the fact that you clearly know something I don't. Continues here. Reading this book is like having a conversation with someone who knows and understands the mind-body relationship intimately. The emerging paradigm in health care—which is that physical health is interconnected with our emotional and spiritual well being—just seems obvious and accessible when it is articulated so fluidly. Article continues here. In this book he explains how we can heal ourselves and not remain victims of pain and suffering. While he doesn’t advocate the elimination of physicians, he does point out that medications and surgeries may not work long term. Witness the patient who has a tumor removed only to find another tumor recurring somewhere else. He advocates getting to the root cause of the physical/medical issue so that tumors do not return or medication is no longer needed. Article continues here. This wise book is more than the subtitle suggests, although the focus is indeed health at various levels. The author is a medical intuitive with extensive experience of helping people with many different conditions, partly by asking the right questions in order to reach the core of the issue. He begins by examining hidden causes of pain and illness, suggesting ways to raise awareness and enhance health. Not surprisingly, there is a close mind-body connection and an emphasis on moving on through the expression of gratitude and forgiveness. This involves choosing love rather than fear, releasing the past and embracing the future; also engaging with patterns in the subconscious mind. The book is interspersed with provocative and inspiring quotations from a great variety of sources, encouraging the reader to broaden their perspective and deepen their understanding by fully opening to the intelligences within and beyond. In the end, the journey to health is also a spiritual journey. Dave's book, Healing with Source: A Spiritual Guide to Mind-Body Medicine, is available from Amazon. someone (without them thinking I was a nut) Thank you for your beautiful words that simplify my belief and expand it with the knowledge (tools) of how I can apply it to my life.